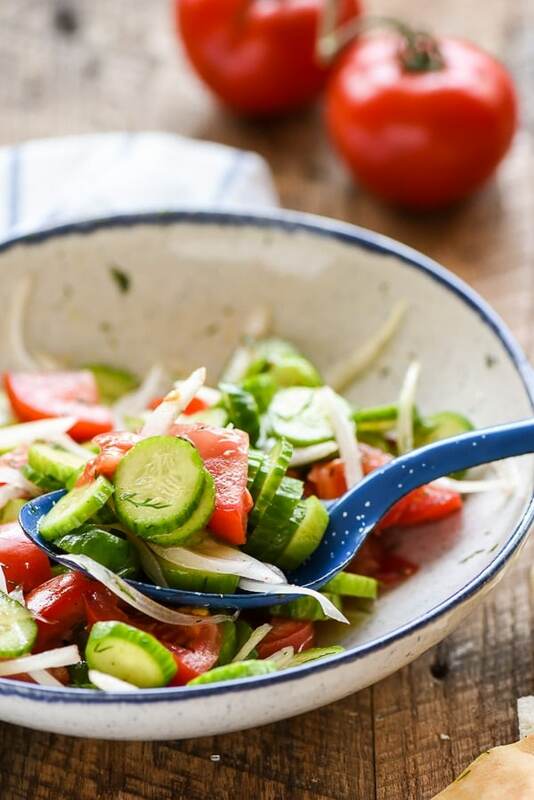 The best of summer produce comes together to make this simple and delicious Cucumber and Tomato Salad. Last weekend we took a couple of hours to plant a small garden, a tradition I refuse to surrender despite my hubby’s insistence that it’s more work than it’s worth. In reality, he’s probably right. I’ve poured quite a lot of sweat into the soil over the years and found myself cursing my ever-wilting cilantro plant more than once. Yet somehow, when I pluck the first cherry tomato from the vine and bite into its still warm flesh, all the work seems justified for a reward as sweet as this. We have a few staples that we plant every year–mostly yellow and red cherry tomatoes, slicer tomatoes, and five or six different herbs. I also try to experiment with something new each year. Sometimes this works out great, and sometimes it…doesn’t. The year I planted a tomatillo resulted in a four foot giant overtaking a raised bed and producing enough tomatillos to start our own salsa company. While the plant could certainly be considered a success, we haven’t felt compelled to grow tomatillos since. This year, I’m trying my hand at growing cucumbers for the first time. The Mr. and I have never been huge cucumber fans, but we’ve recently discovered a mini seedless variety and have since been using them for everything. We love dipping them in the creamy homemade hummus, adding them to veggie sandwiches or just piling them on a slice of toast with a little cream cheese and dill. Heavenly. 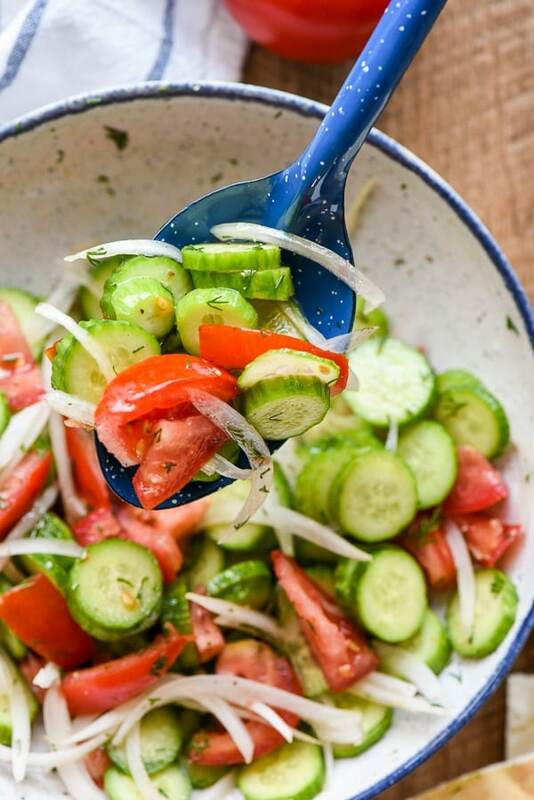 We’ve also been tossing sliced cucumber with fresh tomato slices, shaved red onion, and a splash of vinegar, oil, and dill for one of the easiest and tastiest salads of all time. This Cucumber and Tomato Salad is going to be on repeat at our house all summer long. It’s so light and refreshing, exactly the kind of food I crave on a hot and muggy day. It also goes really well with almost anything that comes off the grill. Serve it alongside a juicy burger or marinated chicken for a dinner that comes together in minutes. I prefer to use white wine or golden balsamic vinegar for the salad, but feel free to switch things up if you’d like. The key is to give the flavors 15 minutes to meld together before serving. 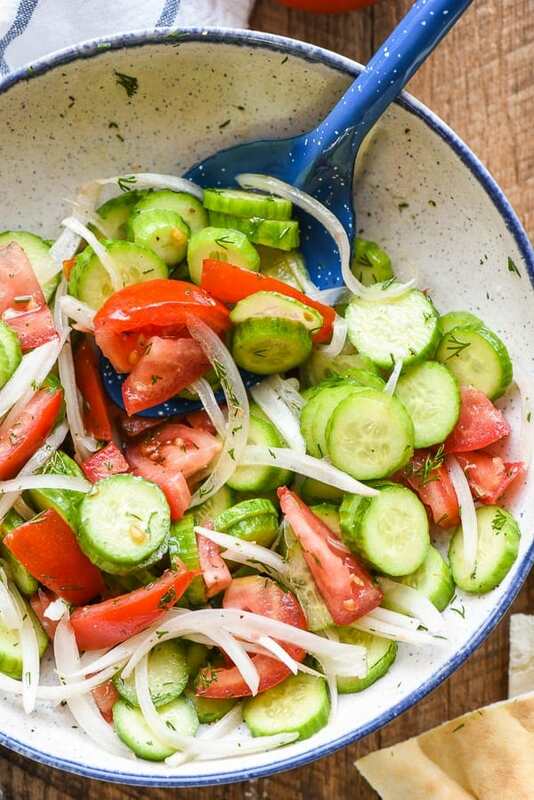 Toss everything together, load up the grill, and the salad will be waiting for you! Definitely save this one for those hot summer nights! In a bowl, toss together all the of the ingredients. Season to taste. 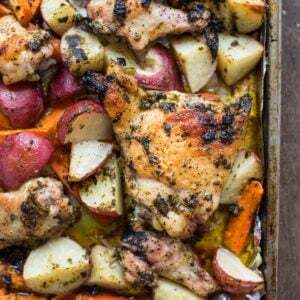 Set aside to marinate for 15 minutes or place in the fridge for several hours. Serve cold or at room temperature. 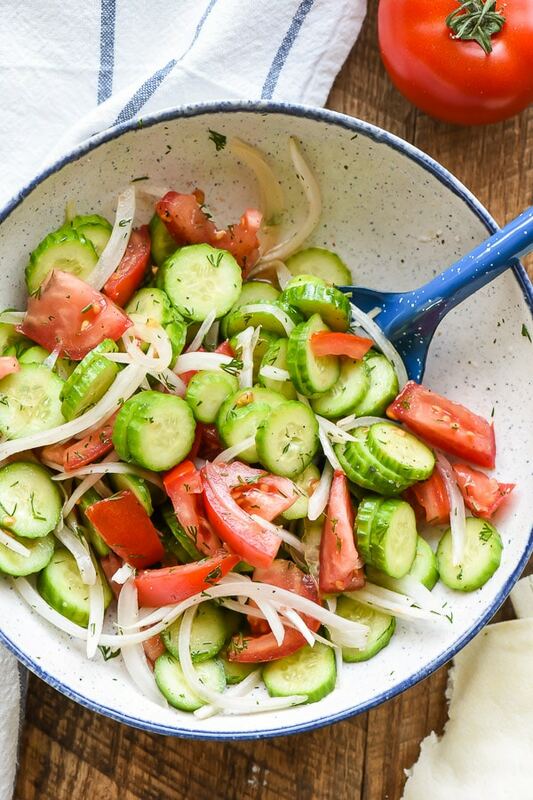 Growing up in the very deep south I lived for summer, the first tomatoes and cucumbers!! I loved them with a splash of white vinegar or naked!! Years ago I found that English cucumbers were better, the thinner skin was much better and the seeds are smaller. Those fat dark green ones have massive seeds that cause non-stop burping for hours. How can it be that the world does not know about this phenomenal salad? Sometimes the simplest things are the best, aren’t they? And nothing beats fresh summer produce. 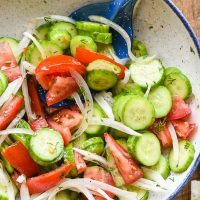 We are also loving the seedless or English cucumbers for this recipe and for eating plain with a little salt! 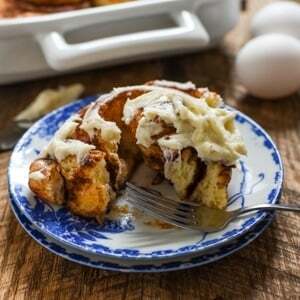 I want to make this but just wondered how long it will keep in the refrigerator? You can definitely make it at least a day ahead of time. It’ll keep for 3-5 days in the fridge, but the cucumbers and tomatoes will start to lose their crunchiness and texture.